I think she did in fact make it. Hello Joe and everyone, looking forward to the show. Hey, Glen! Hey, Holly! Hey, G! Hey, Destroit! Hope you're all doing well tonight....I'm a bit sad and I'm going to make myself feel better by playing some Donna Summer records. Hope you don't mind hanging out with me while I do so. I'm cool with it. Sad to hear you're sad buddy. Thanks fer the Donna Summer tribute, Joe! Glad you are doing one! Joe! You are great company, as always...Cheers! Sorry you're sad. I hope Donna & your loyal comment board can offer some solace. I can't tell you how many times I've heard twisted versions of "I feel love" woven into sets after midnight. Love it. It's SO good, Destroit, but I'm going to try to dig deeper, if I can. Side 4 of "Bad Girls" has some "I Feel Love" type stuff on it, so I might go there. Wasn't a request, definitely dig deeper....that's what we rely on! For me, 'Summer Fever" gets way more endorphins pumping, but go where you will, fearless leader! It's all good. So nice to have you all here! 8th grade. awkward dancing & roller skating. @Julie: I think I'll play some more yet, so don't worry! @Holly: That's sweet! I'm sure I also roller skated to Donna back then. Everybody rollerskated to Donna! The cool thiing is how many of these songs she co-wrote. Some people act like she was Giorgio Moroder's puppet or something. well i must say night all till next time rock on joe ,,julie & holly! @Joe - Donna definitely was no puppet. OK, guys, last one, I promise! 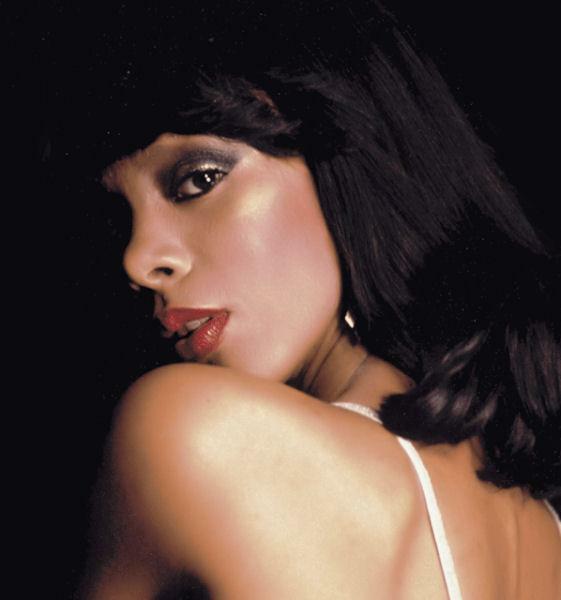 all night Donna Summer, please. perfect right now. I thought you'd be playing Donna all night! WRONG!!! FOXES is with Jodie Foster and Cherie Currie. You are thinking of 'Little Darlings'. I was listening to you playing 'ON the Radio' and had to go to youtube and watch the ending of 'Foxes', which is devastating. Cherie Currie from the Runaways is heartwrenching. Julie, Goth Night of the Soul? Thanks, guys, for helping me out with my Foxes/Darlings confusion. Those were some darling foxes. JOE! Again, just saying that you are such great company!! Truly enjoy your program!!! Thanks, Scott, always great to know you're listening. Was just about to type that David Houston sounds so much like Lee Hazlewood...then the title changed! This Hazelwood song is great. @phat: Thanks, glad you enjoyed it. I could've played Donna all night, but now Lee and Gene and Douglas are sounding good to me! Great one. I would have sworn Doug Dillard had been gone for a while. Thank you for playing Doug D. That whole lp is wonderful. Sounds like the Dillard in D&Clark must be from the Dillards bluegrass family. A little history about them at the mic break? i know i'm really risking my neck with my comments,,but joe could you please play either last dance or heaven knows..btw holly did you know that you,,julie & i like the same group? @Matt: I'll try to resist the Chuck Brown tribute set! That was DC's specific subtype of funk we developed and still play. @Matt and Holly: Maybe next week! "Block Party" is a great song. Is this an original 45 of Mitch Ryder? It is, Matt, and it's a bit worse for wear, I'm afriad! see you next week joe. I'll apologize for this one in advance. I'm playing it to prove that Motley Crue came from somewhere. Diamond Reo--well this is new to me! Apology accepted and point proven! Lawdy. That one went to eleven. Now that the wine is flowing, I feel better. Yes, that Mass Production hit the spot! Ahh, Herbie...great show Joe. Donna, Booker segue...country and now 45 fun. Can't say you'll hear a show like this very often. Donald, Doug & Donna. What a week. @Brian: I'm putting in a complaint to my union. @Reaper Take the rest of the year off. @Brian: From your lips to God's ears. But I just cross jobs off the list, I don't write the list. Another World Goth Day promotion! @Reaper: Take a holiday and party on World Goth Day. Us music fans could use your break too. The Julie / Bronx Elf show a few months back was incredible. I happened to wake up at 3:30 that morning and did not sleep. Those ladies messed up my work day but it was well worth it. Matter of fact, it's all dark, eh? Oooh, MVL! Those who liked him, here's a chance to hear him again! @G: And inescapable, as well. Wow, lookee there folks, it's Scott Williams from Monday afternoons! Hey, Scott! @Matt: Don't miss Mike's show, he's great. Thanks for the rec, Joe. Never heard MVL at the time but many listeners were sad to see him leave. I think you'll like him, Matt. Deep cuts! @ Reaper It's tough being the middle 'man'. What with all the cutbacks these days. I think we all appreciate that you have a job to do. Sub contracting is not an option. This goddam job is killing me. Hey, Brian! Sorry I didn't say hello earlier! Good Ritchie Francis; particularly like those very 70s musical arrangements. Arranged by Wil Malone, who was in Fickle Pickle! I slid in the side entrance Joe. Gotta cut & walk the dog. Will catch up on archive. You know the things we take for granted with this station. Oh I'll just listen on archive, like you can do this everywhere. Say hi to poochie for me! I'm Fickle about Pickle arrangements, but those were certainly tops! Good boy, Spencer, good boy! "Another Day"--TERRIFIC transition from Gerry Rafferty!! I'm a big fan of Ram--I listened a lot to one of my parents copies nearly 10 years ago when I first got a record player, loved it and still have a great appreciation for it. So glad Tom Sch. put the tribute album together. Since they have a "dee-luxe" reissue out now, I'm totally going to get that! I'm almost out of here...Thanks everybody for listening! Be sure to check out Mike next week. See you in two! Wow. who is Marc Ellington this is excellent. Sounds like Gene Clark is back. Great show Joe! I'll listen to you in two! And I'll check out Mike in one! Have a good night/day everyone! God i knew that guitar was special. Thought it was Clarence white.They do a lot a similar stuff. And Clarence played with Gene quite a bit. Thanks joe.